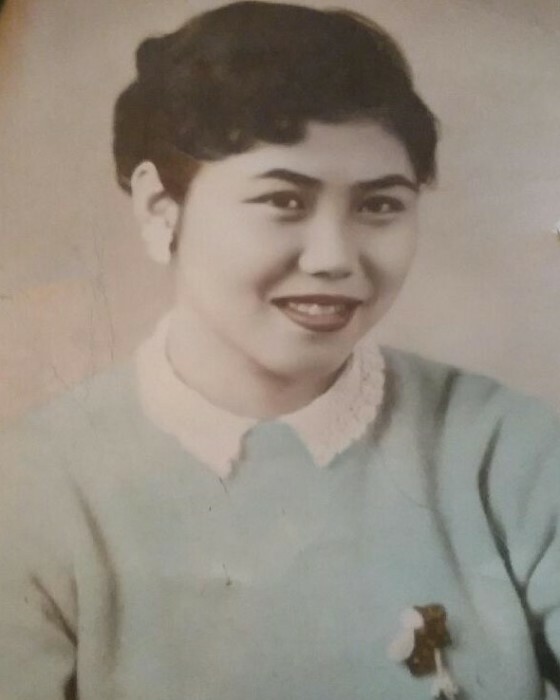 Kyoko Oscarson age 86 of Dent, MN, passed away on April 9, 2019 at Perham Health, Perham, MN. A private memorial service will be held at a later date. Kyoko “Amy” Oscarson was born on March 8, 1933 to Mr. and Mrs. Kiyoji Esaki in Fukuoka, Japan. The family later moved to Zama, Japan, close to the Sagami River and about 25 miles south of Tokyo, Japan. Kyoko attended and finished her schooling in 1952, post WWII. Many family discussions were had regarding the trying time her family had surviving WWII. On November 1, 1956, in Japan, Kyoko was united in marriage to Ronald Oscarson from Campbell, MN. Ron was a military man and Kyoko was a homemaker. She loved to do crocheting, needlepoint and crafts. She took great pride in caring for her family and home. Ron and Kyoko were blessed with two children: Dorothy in 1958 and Darrell in 1962. Ron retired from the U.S. Army in 1973 and the family moved to Antioch, IL where Ron farmed with his brother for a time. Ron, having health concerns, was forced to fully retire and the family moved to Breckenridge, MN where made their home. After Ron’s passing in 1980, Kyoko lived many years in the Breckenridge area independently, until she needed more care. Kyoko then moved in with her daughter, Dorothy for the last few years of her life. Amy was known for her love of ice cream and orange soda. She will be in our hearts, minds and dearly missed. Amy is survived by her daughter Dorothy Bower of Dent; son Darrell of Breckenridge; grandchildren Kiera Oscarson, Logan Oscarson and Erin Van Der Braden; two great-grandchildren Lucas Haag and Sophie Haag; along with her nieces and nephews. Preceding her in death were her parents; husband Ronald; son-in-law Jim Bower; her two brothers; and two sisters.